‘With striking economy, Weir evokes the minutiae of daily life both within the community and within the family home from the pavement gossip to the spitefully snide remarks siblings make to, and about, one another. In this fine piece of writing, the politics are understated, the characterisations and positions of both parents and both daughters are balanced and heartfelt. Weir approaches the tension between loving someone and holding on to your principles non–judgmentally whilst at the same time reflecting the complexities of family dynamics with the unsettling clarity of a well–lit mirror. No wonder I felt the pain and confusion of each one of them as their love for each other was forced to recalibrate by turning events. 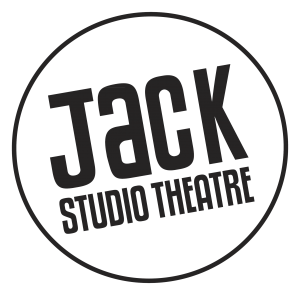 The Jack’s artistic director, Kate Bannister, has done a wonderful job pacing this piece which is so liberally peppered by episodes of family turbulence, making each one fresh but at the same time cumulatively building the tension. Write Now 7 Shorts: Fight or Flight? Write Now 7 launched with the production of seven short plays in Fight or Flight? These new short plays were drawn from local, national and international submissions. In times of extremity we’re programmed for a fight or flight response. But can it really be that simple? Do our reactions in the moment speak for who we really are? Should we fight fire with fire, or is empathy the key?